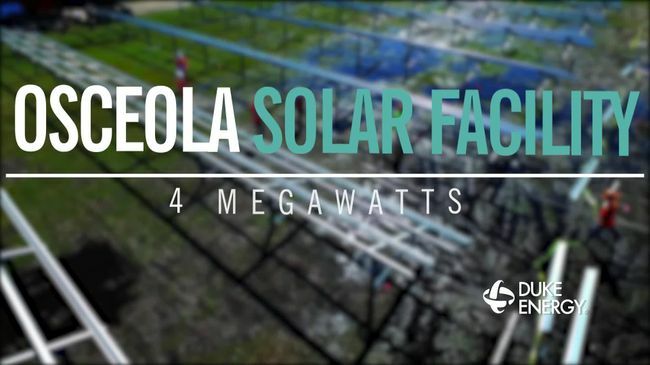 The Osceola Solar Facility, located in Kenansville, Fla., is a a 4-megawatt solar facility. It was started on Dec. 28, 2015, and completed on May 12, 2016. It has 14,760 monocrystalline solar panels. It can produce 6, 781,000 kWh annually.